I teamed up with Anika Vuurzoon to bring to life the LEGO Mobile Game Fix the Factory, what a great project! Thanks Anika for putting together this amazing video! Tired of playing your mobile games? Use the EV3 Android Player to play them for you! I presented the EV3 version of my MakerLEGOBot at Maker Faire NY 2014. I had a great time as one of the judges for the 2014 Build for Good Challenge in Seattle. Here is an interview I did with our local PBS Station. 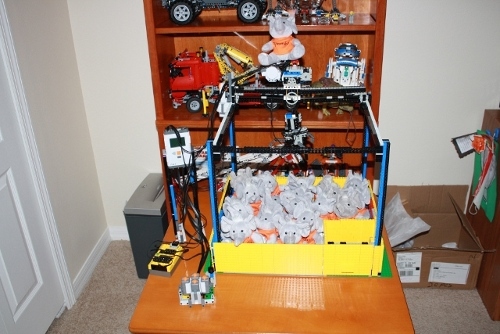 Check out One Short - LEGO Robotics here. 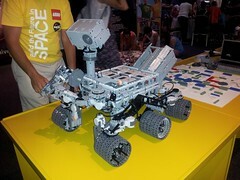 Check out the LEGO MINDSTORMS Mars Curiosity Rover, presented at NASA's Build the Future in Space event at Kennedy Space Center! 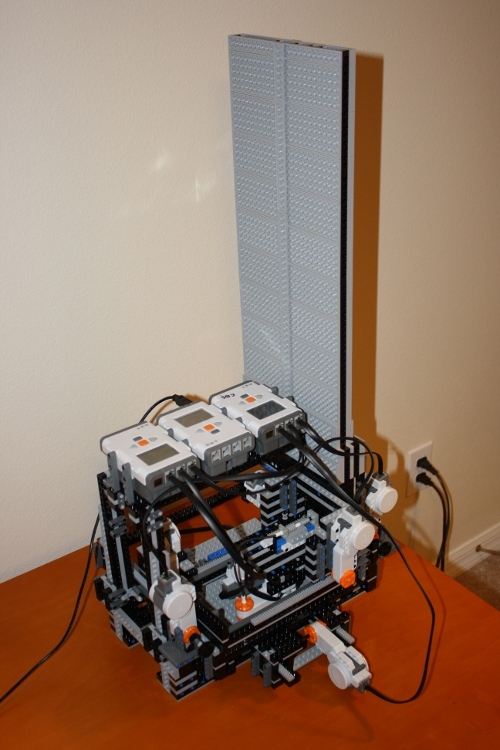 Print Lego Models with the new MakerLegoBot , a Lego 3D Printer! 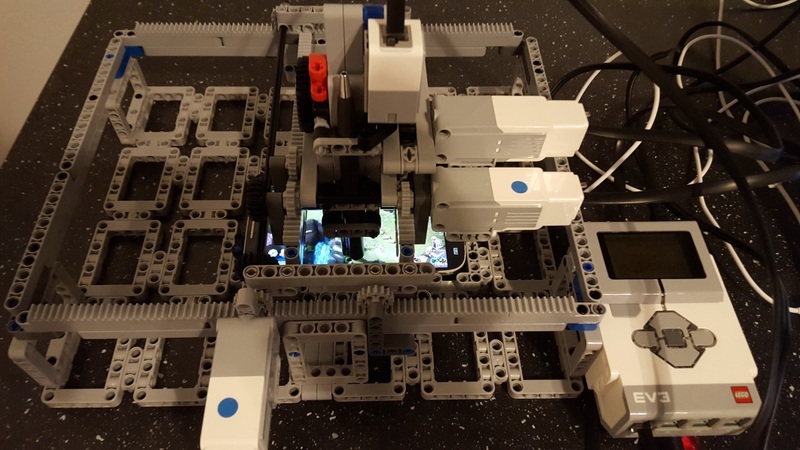 Build your own Lego Skill Crane: The Claw! I've posted some new pics of our latest battle along with a video. Check them out! 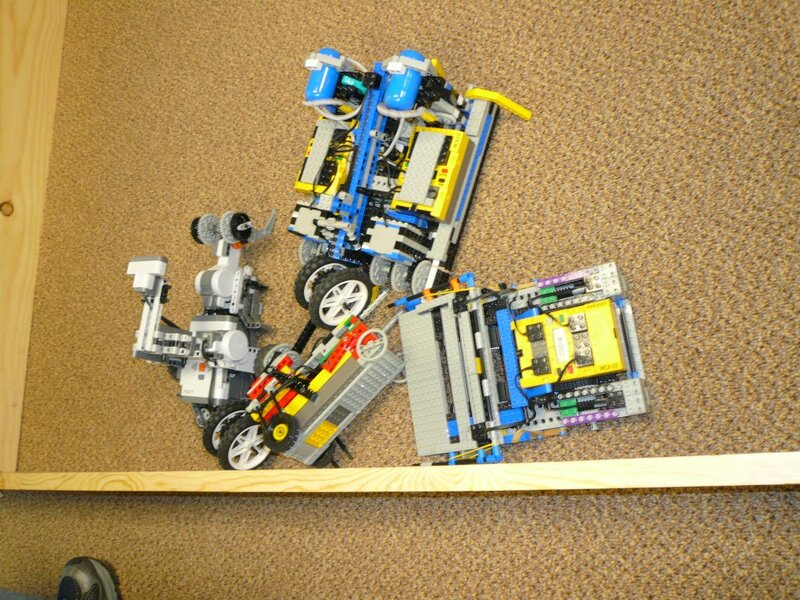 I've posted some new pics of our robots that competed in the PingPong Removal Competition. Check them out! We've launched our new Blog, where we'll be discussing our competitions and other interesting Robotic Mayhem! 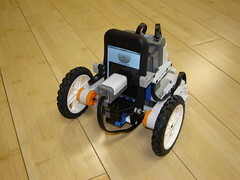 The WiigoBot is Famous! 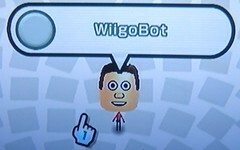 Due to popular demand, I've published detailed instructions so you can build your own WiigoBot. 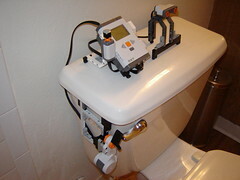 I've just posted a new webpage dedicated to the WiigoBot, A Wii Bowling Robot that can bowl a perfect game! Check it out. Check out our new BattleBricks.com Forums! Feel free to ask fun and technical questions! We've been busy! Check out the latest videos here, now hosted by youtube. We've posted pics of our newest creation, the PingPongBattle. Check them out. And finally, we have two new profiles on the home page. Lee Cheng is our first ever NXT competitor, and Mike D'Amour, a self declared n00b, is mixing it up with entertaining robotics. After a long hiatus, BattleBricks has returned with an Autonomous Arena Battle! Check out the pics here. We recently had a demo battle at GE Power System's Safety Day in Schenectady NY. Check out some pictures of our new arena and some sweet polo shirts with our logo!! Benobi's Weapon System has been added to our Models site. New pictures from our March 1st competition are available. Also, Mojospin has been added to our Models site. The latest Battlebricks video from MathCounts is up in the Videos section. We've added two new battles to our previous battles section. Check out the new pictures!